Juggling, Indian dancing, apples, geometry. Not four things you would ordinarily expect to find together in the space of an hour, but much like chalk and cheese, a match made in heaven. Whilst apples are perhaps a bit of a stretch (they were actually red and green balls, although it did take me a second or two to realise! ), optical illusions were certainly the order of the day. From the very outset of the show, audience expectations were challenged. Four very different women presented what was a surprisingly intimate performance, through the medium of circus, dancing, dialogue and chanting. Over the course of 60 minutes, 12 stories, 4 introductions and various outfit changes, the show highlighted the intricacies of Bharatanatyam dance, and the sheer skill of the Gandini jugglers. Writing this a day after the performance, I am still struck by the first story, entitled Screens. The staging was very simple, comprising a black backdrop, and two screens which, when turned around, revealed two large mirrors. Despite being only a small stage, I couldn't decide where to look as there was so much going on I wanted to see; who'd have thought that shadow projections and synchronised (and colour co-ordinated!) juggling would be so enthralling? As I sat in the audience, I was struck by just how much of a focus there was on rhythm, and natural rhythm at that, to the extent that it was almost hypnotic; at points I found myself distracted, marvelling at how focused the jugglers were, and wondering just how much concentration it took to stay in such perfect unison. When the screens were reversed to reveal mirrors, even the simple act of bouncing balls in perfect synchronicity became complex, giving me all of the hall of mirrors vibes. So, final thought time. In all honesty, I wasn't sure what to expect from Sigma. 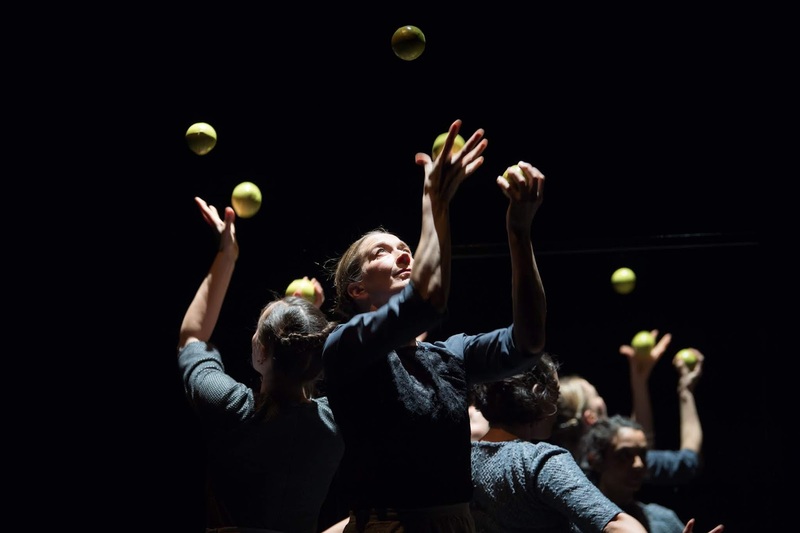 The juxtaposition and total contrast of the juggling and dancing seemed a completely alien concept to me, and although it felt at times like the performance was slightly disjointed, it was a resounding success. I would very happily watch it again as I feel like it's one of those pieces where it would be a totally different performance the second time round. Oh, and if you've never been to any of the Norfolk and Norwich Festival events before, you should go - they're top notch.